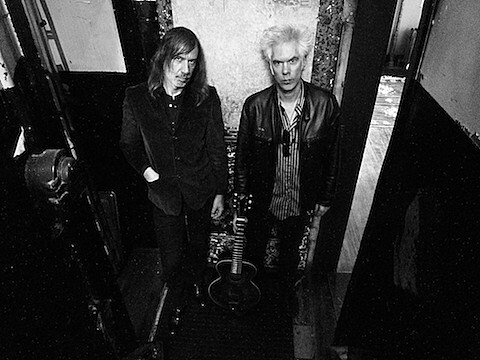 New York City-based Dutch composer and lutenist Jozef Van Wissem is gearing up for the release of his second collaborative album of 2012 with Jim Jarmusch, titled The Mystery of Heaven, which is due out on November 13 via Sacred Bones. In support of that album, Van Wissem is set to play a few select US shows. One of those performances takes place at the Empty Bottle this Sunday (10/7), as part of the closing show of the Adventures in Modern Music festival. Advance tickets for that show, which also features Micachu & The Shapes, Holy Other, and Lee Noble, are still available. We spoke with Jozef earlier this week about composing for visual works, the process of his collaborative projects with Jim Jarmusch, and some of the music he’s been recently inspired by. bvChicago: When did you start playing the lute, and what made you choose it? Jozef Van Wissem: I started playing the lute when I moved to New York in 1993. I had owned a punk rock bar/coffeeshop in the Netherlands and was sick of the rock & roll lifestyle. So it became part of an introspective process. I got into touch with lute music at an really early age though, at 11, when i started my classical guitar studies. I saw an ad in the Village Voice for a lute teacher, Pat O’Brien. I recently discovered he was a student of Reverend Gary Davis. bvC: How different is composing music with a completed visual to work from? Adversely, how is the process different with a writer/director’s vision to carry out? Jozef: For visuals the composing is more theme centered, around a melody. But composing the melodies is not different for a film or for a record. A great simple melody is timeless and more difficult to write than elaborate virtuoso music. I composed lute pieces for the Sims Medieval video game and I had to carry out the director’s vision I guess but there was total freedom. To work with a director’s vision more, you have to be able to improvise. Improvising is my second nature. Channeling a good melody, my first. bvC: Do you enjoy performing? How have crowds reacted to your music? Jozef: Performing is in my blood. I get restless without it. I played 400-shows in five-years. Crowds react ecstatic sometimes, people get very emotional. Sometimes it changes people’s lives. It certainly changed mine. bvC: I’ve wondered why you’re cast as an “underground” or “outsider” artist. Do you agree with that assessment of your output? Jozef: It’s not in Billboard, but Rolling Stone wrote about me. I don’t think I am that underground anymore, no. Millions of people have heard my lute music in the video game for example. But I am an outsider in the classical world, yes, thank god. bvC: Can you talk about how you and Jim Jarmusch came to meet? Jozef: We met on the streets of Soho. I asked him if he was the movie director, and if he was into lute music. He said, “yes,” and I gave him a CD. The rest is history. bvC: What is the recording process like with you and Jim — do you take lead and he provides textures? Jozef: In the beginning I took lead and he provided textures, yes. Now I record him at his house sometimes and I add to that. But the concept is largely still my idea. I come up with the titles and such, but we exchange a lot. bvC: Your music is very cinematic, was it easy to write for Jim’s upcoming film, Only Lovers Left Alive? What was that process like for you? Jozef: Thank you. It is easy to write for Jim’s films because we are friends in the first place, and I think I have a pretty good understanding of where he is coming from. We also both devour history. As musicians our sensibilities are very much alike, after all we both started in new wave bands. The process is quite natural and there’s this space in his films. I don’t like dense films or music for that matter. bvC: Clearly, your music is very visual. Can you talk about the music video you did for “The Sun of the Natural World is Pure Fire” — is that video meant to build off your music, diving deeper into the questions of mortality? on the painting The Garden of Earthly Delights by [Hieronymus] Bosch. The detail [in the painting] where the nudes are depicted in the transparent sphere is emulated. Jim called it “quite pre-raphaelite.” I asked Diego Barrera [to work on this] after I had seen his piece “Seduction of the Armageddon Witches,” which blew me away. Barrera is the future of rock and roll. bvC: What is your hope for your fan community? Are there specific things you wish for them to draw out of your music? Jozef: I hope I make their stay on this earth a little more worth their while, by my melodies. bvC: With the music you make, you seem somewhat rooted in the past — in Renaissance and Baroque stylings. Have you been inspired by any recent releases? Jozef: I was recently inspired by the music of Zola Jesus, Henning Christiansen, Arvo Part, and Earth.